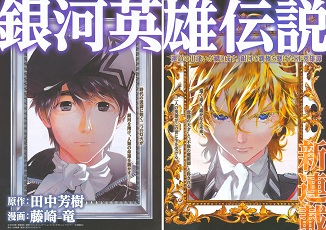 This is a new manga of the story of Legend of Galactic Heroes. It tells the story of a distant future within the Milky Way Galaxy, where the Galactic Empire and the Free Planets Alliance are constantly at war. The story begins with the young Reinhard von Müsel, a boy in the Galactic Empire that lives with his drunk father and his beautiful sister Annerose. He becomes close friends with the boy next door, Sigfried. After his sister is taken to become the Kaiser's concubine, young Reinhard is determined to take down the Empire in order to rescue her. He and his loyal friend Sigfried join the military academy together as the first step in Reinhard's plan. Norimichi is in his first year in high school, and his daily life is full of being bullied. However, there is one thing in his life that he enjoys--spending his evenings making elaborate lunch boxes. The only one in his family who needs a lunch box is his father, though. One day, his father finally refuses his decorative lunch; he says that it's embarrassing to have such a cute lunch made by his son, and he thinks Norimichi needs to learn to stop doing 'girly' stuff like that. Norimichi is devastated that his one happiness has been taken away, but the events of the day lead to him giving his rejected lunchbox to an unsociable girl at school, Umemiya. She is delighted by his adorable lunch box, and he is thrilled to be able to make her smile. Now he has an exciting new target for his creative lunchboxes, and maybe this first step can lead to something more! Nikoben was really cute, and it also describes his techniques for making the lunchboxes in pretty high detail. 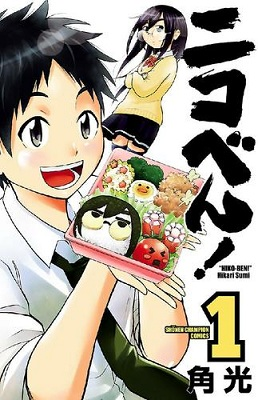 I think it would be a fun manga for someone getting into making deco bento boxes. The Legend of Galactic Heroes is surely going to have a lot of readers, since I think the series has a huge following. Ginga Eiyuu Densetsu - If you're a fan of the Legend of Galactic Heroes, then you should definitely read this newer version.